Uri Shoham was born in Iraq in 1948 and made Aliyah to Israel in 1951. In 1971, he earned his LLB degree from the Hebrew University in Jerusalem, where he studied within the framework of the Israeli Defense Forces (IDF) Academic Reserve. From 1971 to 1974, he served in the IDF Combat Engineering Corps in various command positions. In 1974 Justice Shoham transferred to the IDF Advocate General's Unit, where he fulfilled a wide variety of roles, including: Supervisor of the Military Prosecution in the Gaza District; Supervisor of the Prosecution in the Southern Command; the Military Advocate of the Central Command; Chief Military Prosecutor and the Deputy Military Advocate General. In 1977, Justice Shoham earned his LL.M. degree from the Hebrew University in Jerusalem and between 1983-1984, he participated in a Graduate Course of the Judge Advocate General’s School of the United States Army, in Charlottesville, Virginia. 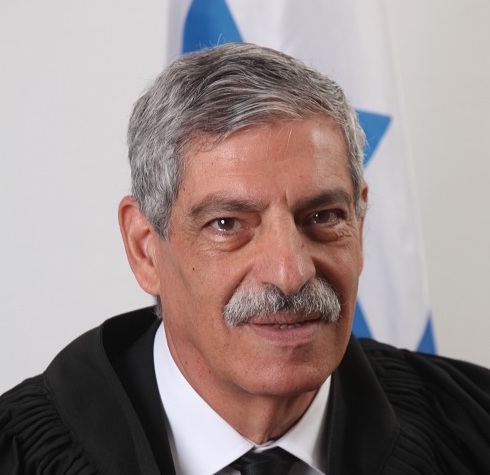 Beginning in 1989, he served as the President of the Military Court of Appeals in Judea, Samaria and the Gaza District, and in 1992, he moved to the Appellate Court Martial of the IDF, where he served as a Judge and as the Deputy President of the Court. In 1995 Justice Shoham was appointed to be the Military Advocate General of the IDF, a role which he fulfilled until 2001. In 2001, Upon his retirement from the IDF, Justice Shoham became a Judge in the Tel Aviv-Jaffa District Court. In May 2012, he was appointed to the Supreme Court of Israel.